Jesus was not killed, He gave his life for the salvation of man. If it had been possible to kill him he would have been killed at birth by Herod’s soldiers. There was a time when those trying to grab him fell to the ground failing to touch him. John 18:4 Jesus fully realized all that was going to happen to him, so he stepped forward to meet them. “Who are you looking for?” he asked. 5 “Jesus the Nazarene,” they replied.”I AM he,” Jesus said. 6 As Jesus said “I AM he,” they all drew back and fell to the ground! This was just to demonstrate that he was not as vulnerable as they thought, he was still in charge of his destiny. The brutal truth is this, NO ONE and again I repeat NO ONE can destroy or kill that which exists or was designed for the fulfillment of God’s purposes. The Jews are judged for having the evil intention of killing Jesus, but effectively he actually gave his life. 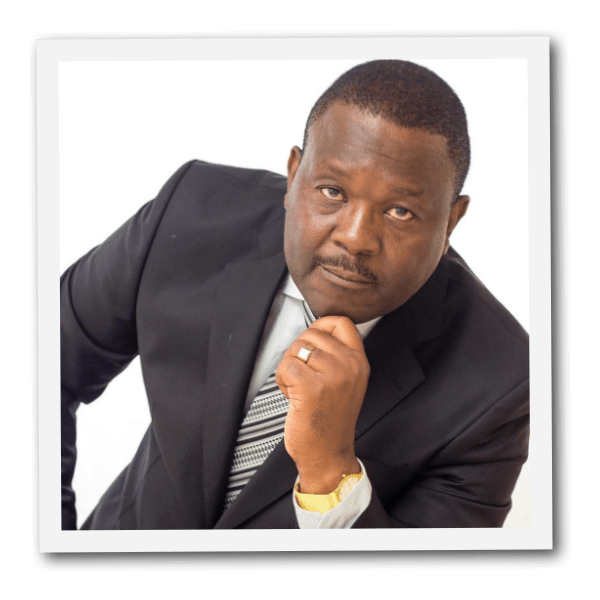 That sense of indispensability and indestructibility will only pervade your life when you are clear about the centrality of your existence in God’s purposes. The question is, is your life USEFUL? Is it worth the trouble of preserving? Is God glorified through your existence, does your life liberate,bless, uplift and open doors for others? If so, there is nothing that SATAN and his demons can do to you except by permission. It is only a life that is not committed to God and his purposes that has no guarantee of protection. A lady died while I was preaching in a small mining town. She had been brought to the meeting very sick. In the middle of my sermon I was asking why God should preserve a life which was committed to breaking marriages and causing havoc in other people’s lives. As soon as I finished asking those questions the woman died. I did not know about this until weeks later when the team told me about the incidents, there had been many people there. Apparently she had been a prostitute. The resolve and ability to live and survive is directly tied to positive purposefulness. THE LORD IS MY SHEPERD! 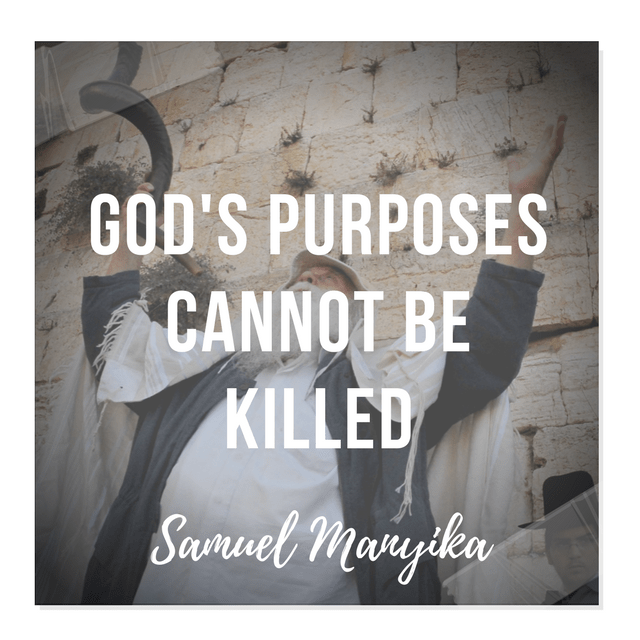 Saul failed to kill David simply because God had a purpose for him. Moses COULD not be killed by Pharoah because God had work for him to do. Paul gave his life as a martyr after being fully warned by the Holy Spirit of what was going to happen to him if he proceeded to Jerusalem. He made the choice to go and die for the gospel. Acts 21:4 Finding the disciples there, we stayed with them seven days. Through the Spirit they urged Paul not to go on to Jerusalem. So our lives will and can be preserved. I have always sought to understand what will have happened when God’s children die prematurely or some disaster strikes them. Apart from catastrophic things that are NOT life threatening which God allows to happen in our lives to transform and shape us, I discovered that the worst happens when people act in presumption, ignore the Holy Spirit’s warnings and open themselves up to attacks through active disobedience. It is NEVER about God’s failure to protect. It is also important to take note that God’s method of protection is prescribed by him not us. It is not always about destroying our enemies, sometimes he may protect us by telling us to run away from our enemies, to keep quite or not do anything and just be still. This is not because he cannot destroy them, it will simply be because that’s how he wants to do it at that time! There was a time when Jesus mysteriously escaped through a crowd as they tried to kill him. He did not call down fire and lightning from heaven, it was not time for judgement yet! Luke 4:28 All the people in the synagogue were furious when they heard this. 29 They got up, drove him out of the town, and took him to the brow of the hill on which the town was built, in order to throw him down the cliff. 30 But he walked right through the crowd and went on his way. False heroism and bravado has destroyed many people. God will never pronounce final judgement on those that we perceive to be our tormentors or enemies simply because our vengeful and impure hearts expect him to. He has his times and seasons for doing what he does. What I can say from reading God’s word, my experience and that of others is that God is ABLE TO KEEP ALIVE AND SAFE THAT LIFE WHICH IS ENTRUSTED TO HIM. He will speak and warn through dreams, premonition, prophets, caution, wisdom etc. He can also deliver through the fiery breath of his mouth and through the direct intervention of his mighty angels. That which is in the hands of the LIFE GIVER cannot be killed, by disease, man’s hand or any other means, it will be preserved for the fulfillment of HIS purposes.